I've been obsessed with the 70s trend this year. As it gets into Autumn now, I'm craving the camel, rust, reds and khaki tones even more! I've recently posted a couple of 70s inspired outfits on my Instagram so thought it might be helpful to post where everything is from if you're loving the trendy too! In the first picture, I based this outfit around this floral high neck dress from Boohoo - such a bargain too at only £15! The material is nice and thick too so good for the cooler weather too. I paired it with my favourite red patent croc boots from River Island (not currently online but look instore). They're not the comfiest boots in the world but they look really amazing and the colour helps to jazz up any plain outfits too! 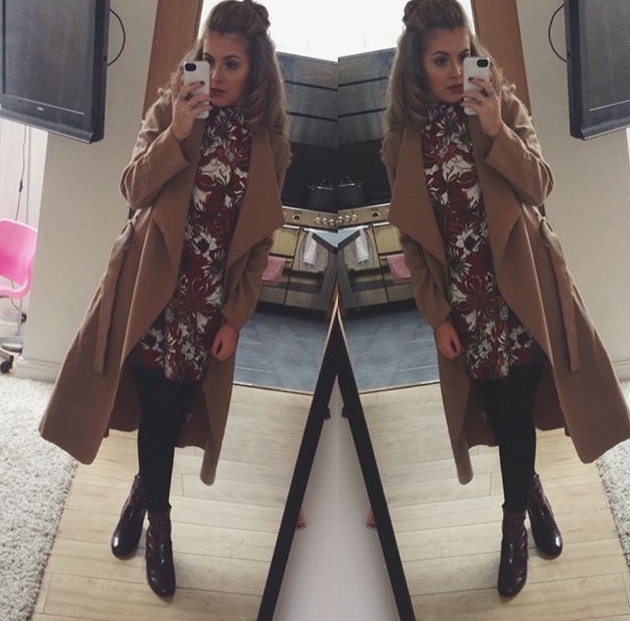 I wore my new fave coat from Missguided - again, such a bargain at less than £30 and it's so comfy and perfect for this transitional weather! I also love the colour as I've been after a camel coat for so long and the waterfall shape is really flattering. In the second picture, I was inspired by the suede textures in the 70s trend. I picked up this camel faux-suede skirt from New Look way back in June but haven't got round to styling it until now! Again, I paired this with my River Island boots, tights and a simple H&M black tee. My necklace is an old one from Forever 21, but this one and this one are similar. What do you think of the 70s trend? Let me know how you'd wear it in the comments!